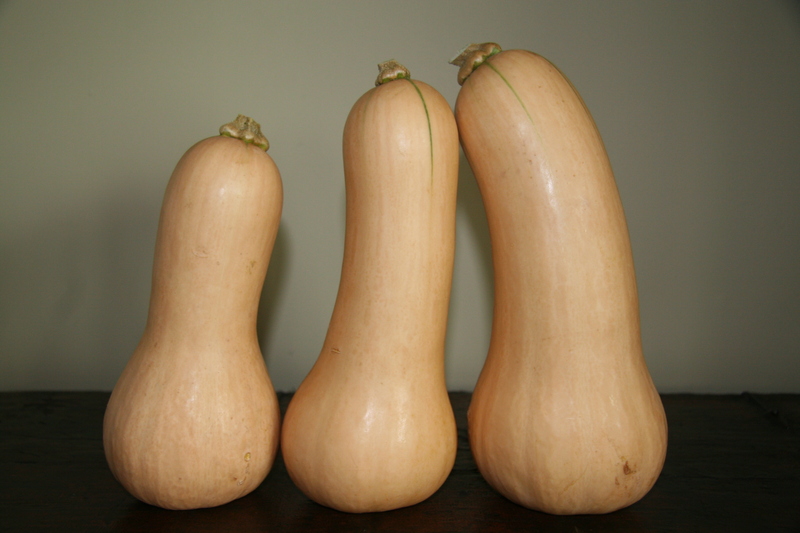 Whenever I tell my vegan story (which is really my learning how to cook story), I always mention the fact that I never even bought a butternut squash because it looked so intimidating. But I got over my fear and here is a quick tutorial on how to prep one. 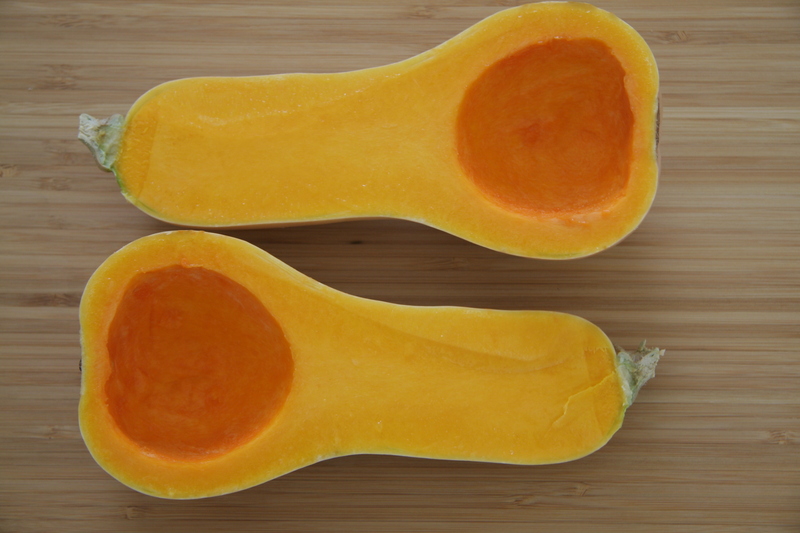 Slice the butternut squash in half from top to bottom. Cut off the very top and very bottom. Remove the skin with a vegetable peeler. Cut into small cubes and place in a pot and cover with water. Bring to a boil and then reduce to a simmer. Cook for 15 minutes until it is soft and easily pierced with a fork. Drain the water. 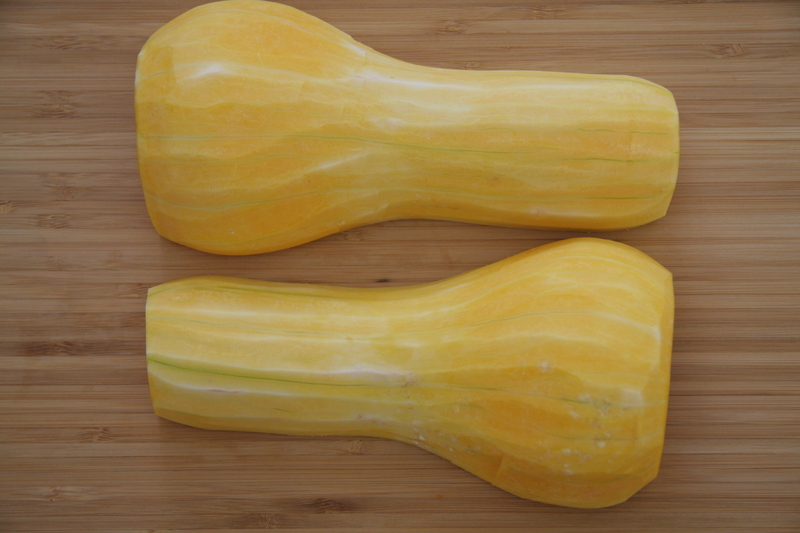 Use in cube form or use a potato masher to purée the squash. I needed this – for some reason, it never occurred to me to remove the skin with a peeler, I’ve always just scooped it out!